Collection of 'Awesome Batman Inspired Products and Designs' from all over the world. 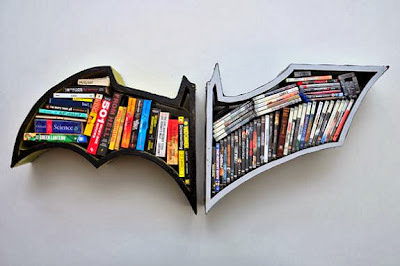 Batman Bookshelves: The bookshelf is made up of two "batman wings" in different colors taking its inspiration from Batman. 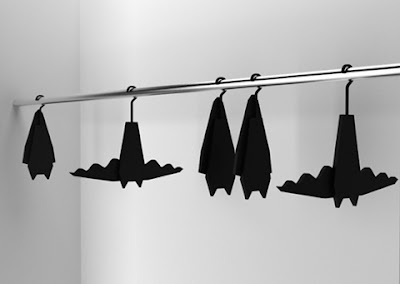 Batman Clothes Hangers: V Paluchova designed these cool Batman clothes hangers. Batman Hoodie: An image of Batman is screen printed on a full zip-up black hoodie and it come with eyeholes. 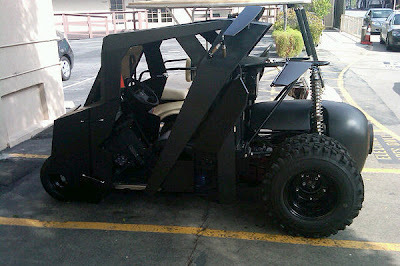 Batman Golf Cart: Tumbler inspired golf cart created by Batman superfan who works at Warner Bros.
Batman Money Clip: Black rubberized coating with a magnetized grip holds your cash in place. 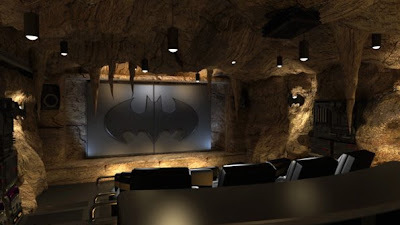 Batcave Home Theater: This Batcave themed home theater is customized by Canadian-based firm Elite Home Theater Seating for a client. 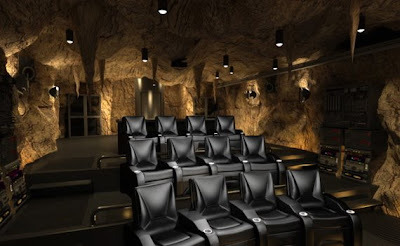 This home theater reportedly costs $500,000 for the layout and seating alone; the equipment cost is additional. 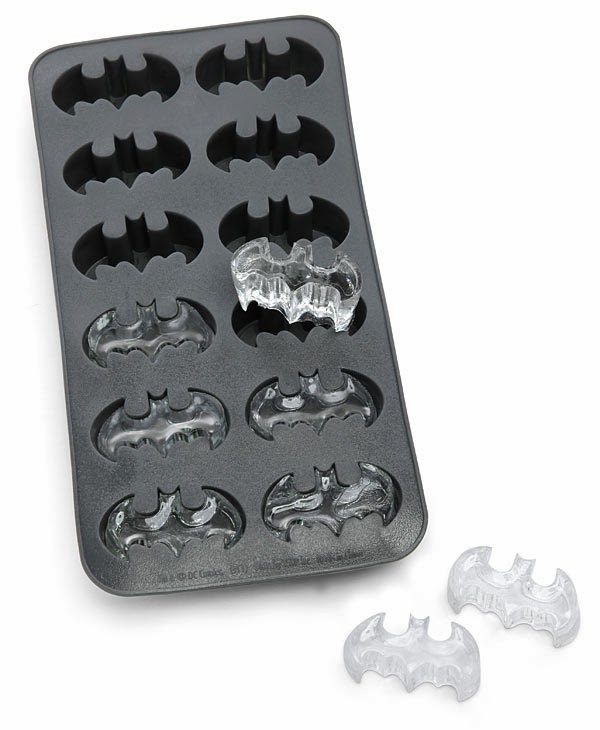 Batman Icecube Tray: This Batman icecube tray makes 12 cubes at one go. Batman Coffee Tables: These cool wooden batman coffee tables come from California-based design studio Bohemian Workbench. 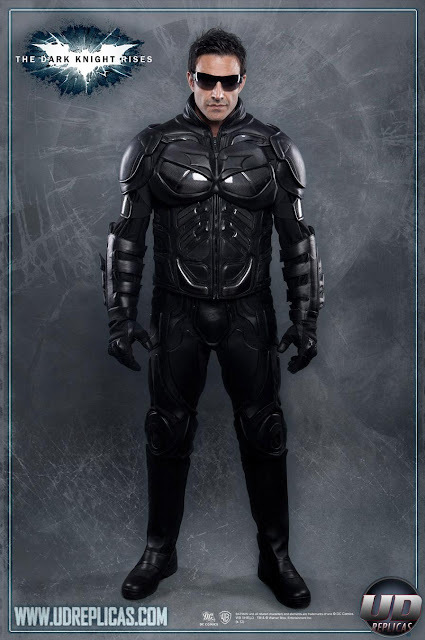 Darkknight Motorcycle Suit: This cool motorcycle suit is inspired by the suit that Batman wears in 'The Dark Knight Rises'. Jacket, pants, boots, and gloves are made out of high quality leather and also features Kevlar inserts. 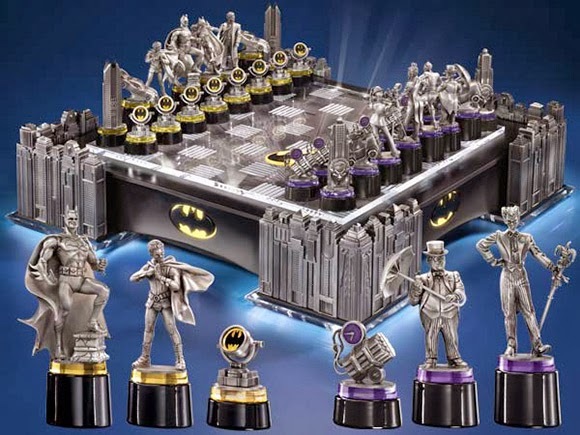 Batman Chess Set: This illuminated Batman chess set lights up and projects a Bat-Signal to the sky. Batman Throwing Stars: These Batman stainless steel throwing stars are sure to look cool on your bulletin board holding your notes. 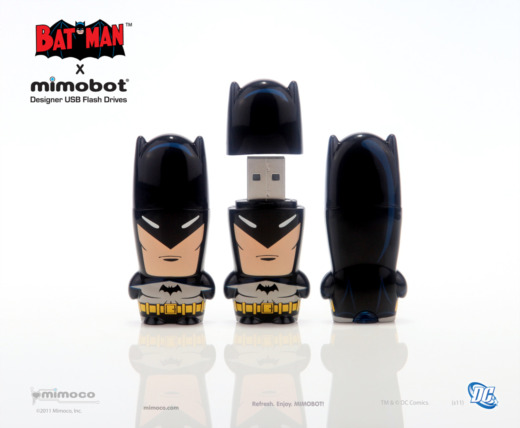 Batman USB Drive: A vintage Batman inspired USB drive to store your data. 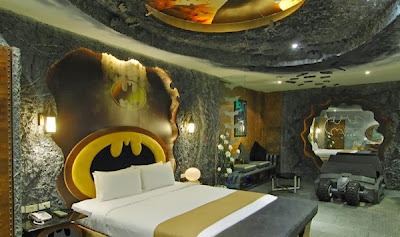 Batman Inspired Room: This Batman inspired room comes from a motel; the room includes Bat Cave textured cement walls, a Bat Mobile, and plenty of yellow and black. 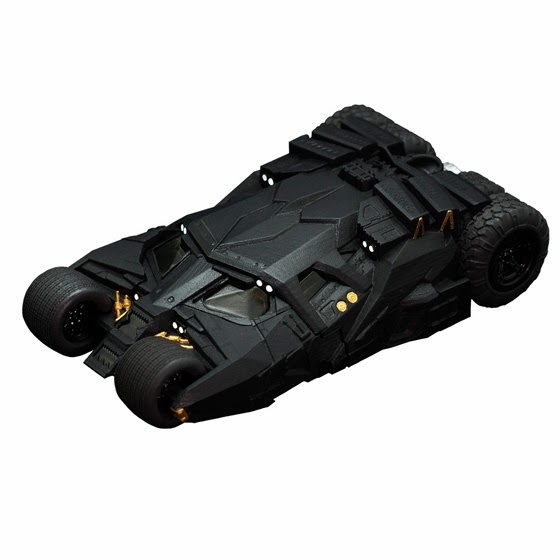 Batman iPhone Case: This Batman iPhone case is shaped like the Batmobile tumbler. 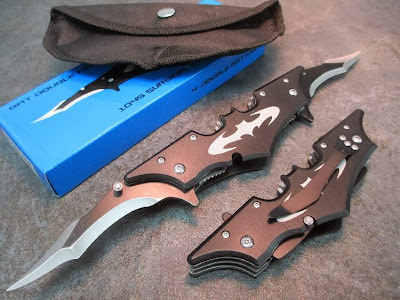 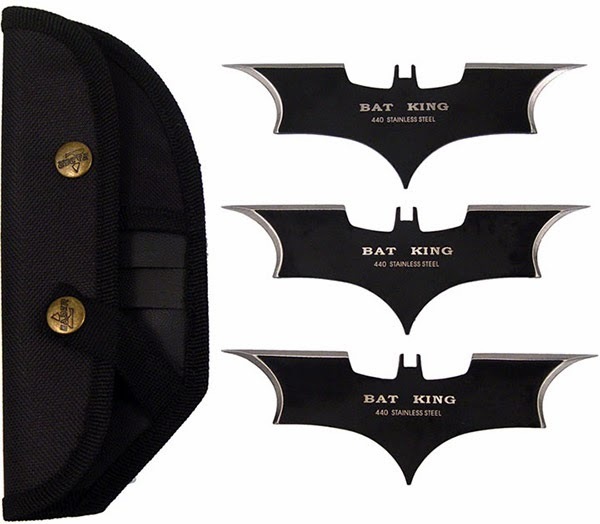 Batman Knife: The knife design is similar to Batman's batarangs and is made of stainless steel. 15 Coolest Tool Designs - Part 2. 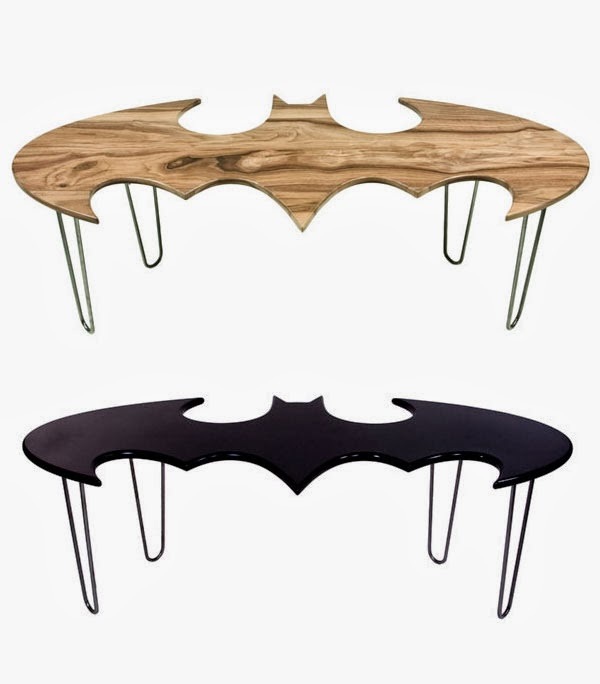 15 Creative Birds Inspired Products and Designs. 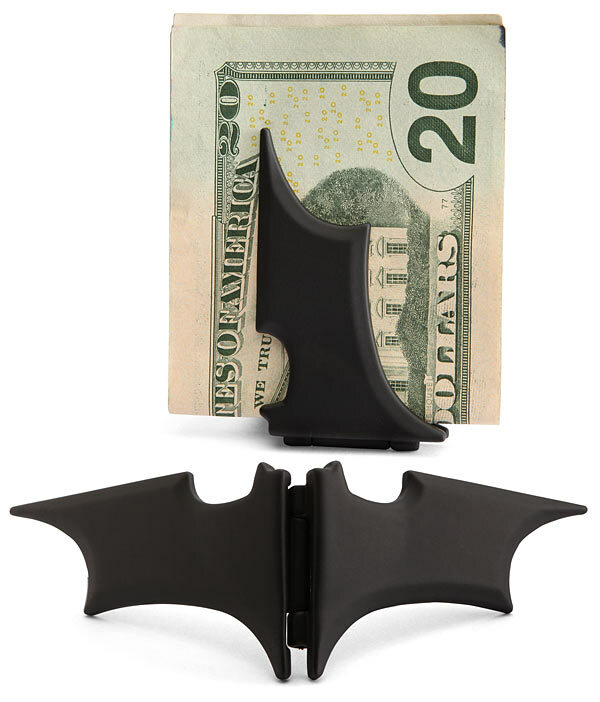 15 Creative Electric Plugs and Cool Electric Plug Designs. 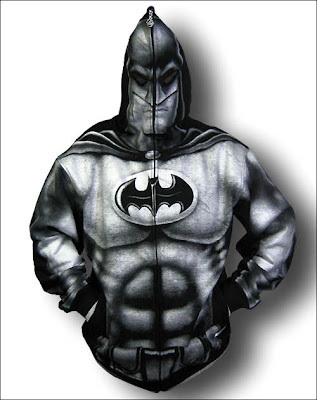 10 Creative iPad Clothing and Unusual iPad Compatible Clothing. 15 Creative Packing Tapes and Unusual Packaging Tapes - Part: 3.